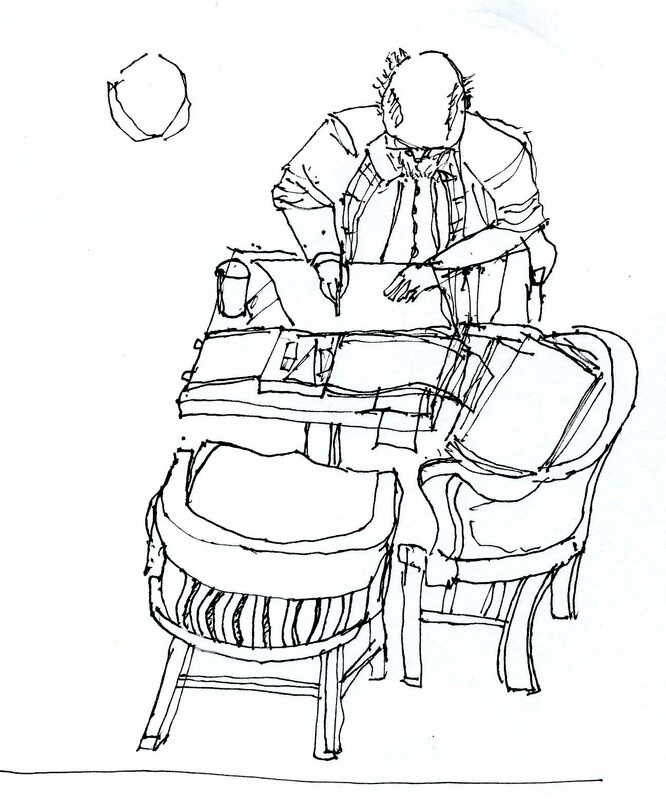 Urban Sketchers Seattle: Frank B's sketch from today. Frank B's sketch from today. Frank Bettandorf emailed the following sketch of today's event. He was up in the mezzanine with Susan sketching a person down on the main level who was also drawing. Great sketch Frank, I love the odd view from above. Thank you for commenting and helping get this image posted. Looking down was a whole new experience and I'd like to try more. Good perspective, great sketch Frank! Thanks for making the trip. Sweet work, Frank! Glad this guy put his hat on before I had to deal with that head from above. You nailed it!